Beautiful skin doesn’t start on the outside. It starts with a rock-solid gut! And here’s something else that’s crucial to your well-being: Peyer’s patches. These little areas of thick tissue in your intestines are fierce warriors, producing antibodies that fight off bad bacteria and other pathogens. If you’re healthy, you have at least 30 or 40 of these little patches, and each one is a critical part of your immune system. Here’s an interesting story showing how internal inflammation manifests itself in “sick” skin. Years ago, I was standing in a line in London waiting for President Bill Clinton to come out of a fish-and-chips place. As we all waited, I struck up a conversation with a physician behind me. Then the president came out, said hello, and shook our hands. The doctor replied, “He’s in big trouble.” He went on, “He’s got terrible signs of inflammation. He’s got a red, bulbous nose and red eyes. His skin is red. He looks a little puffy. I would bet he even has heart problems, because when you see inflammation outward, it’s inward.” Clinton had triple bypass surgery shortly after that. So if you need added incentive to fight for clear, radiant skin, don’t just think about how attractive you want to be on the outside. Think about how healthy you want to be on the inside. When you put all of these pieces in place, you’re going to see big changes in your skin. It may take a little time—after all, we’re talking about changing an entire ecosystem here!—but you’ll end up glowing with health, both inside and out. 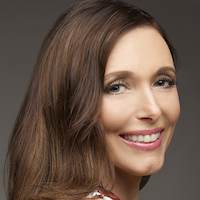 Dr Kellyann Petrucci, M.S., N.D., is a weight-loss and natural anti-aging transformation expert, the author of Dr. Kellyann’s Bone Broth Diet, and has a private practice in the Birmingham, Michigan area and is a concierge doctor for celebrities in New York City and Los Angeles. She is a board-certified naturopathic physician and a certified nutrition consultant. Dr. Petrucci is a regular guest on television shows including The Doctors and national news programs and has authored six books for John Wiley & Sons. She is also the creator of the 30 Day Reset Program, which helps people lose weight, regain their energy and reverse the effects of aging.